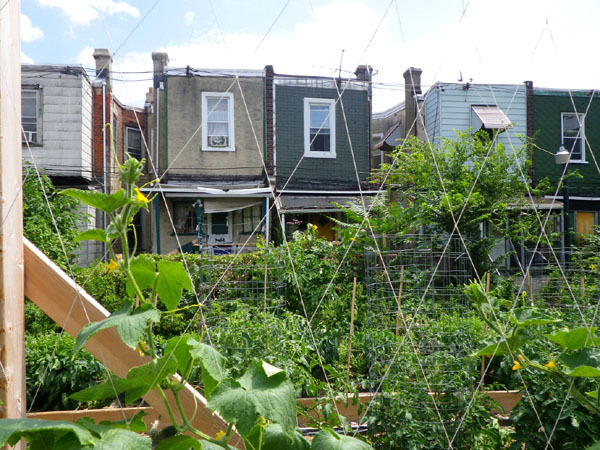 The fourth and most interesting initiative is the Walnut Hill Community Farm on SEPTA property, adjacent to the 46th Street Station on the Market Frankfurt light rail line in West Philadelphia. SEPTA’s project partner is The Enterprise Center, a community organization that provides access to capital, building capacity, business education and economic development opportunities for high-potential minority entrepreneurs. SEPTA provided the group with a 10-year lease and options for up to 20 years to use a 1/4-acre parcel that previously served as a staging area for station construction. The property is divided roughly in half, with the south devoted to vegetable beds and the north to a vegetable stand and space for a future city parklet. 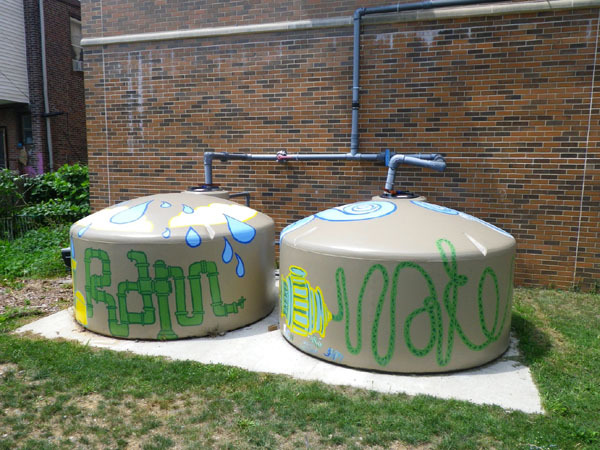 Rainwater is collected off the 46th Street Station roof and is stored in two 1100-gallon cisterns, with irrigation pumps powered by a small photovoltaic panel mounted to the station wall. 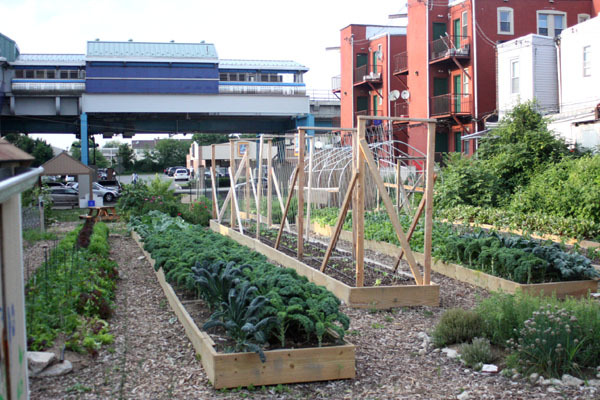 Vegetables grown on the property are sold at the Friday farmer’s market on site, and also contribute to a 65-member CSA that is augmented by produce grown on other properties inside and outside the city limits. Since the farm opened two years ago, understanding of the complexity in promoting healthful food choices has evolved. Improvements in access to healthy food do not necessarily lead to healthy choices, and it has become clear that other factors are also important, such as budgeting, planning, and food preparation. To help close these gaps, the Enterprise Center is building a Culinary School nearby, which will provide meal planning and cooking classes designed to suit neighborhood cultural food preferences. The Walnut Hill Farm provides multiple benefits to the community, including access to fresh food, maintenance of green space, pride of place resulting in less graffiti and vandalism, educational and employment opportunities for youth, and overall capacity-building within the neighborhood. For SEPTA, the farm is an opportunity to broaden its sustainability goals, create good will for the agency, and establish partnerships with a variety of groups including Drexel University, the US Department of Agriculture, the Delaware Valley Regional Food Systems Committee, the City of Philadelphia’s Get Healthy program, and the Kellogg Foundation. The connection between food and transit may not seem obvious at first, but SEPTA has provided an excellent example of how mobility and food access can be complementary ingredients of sustainable urban livability.